Ahead of Lok Sabha polls 2019, Congress aims to become a cadre-based party. A ‘houseful’ board was hanging outside the Indira Gandhi Indoor Stadium where the 84th plenary session of the Congress was being held in March 2018. 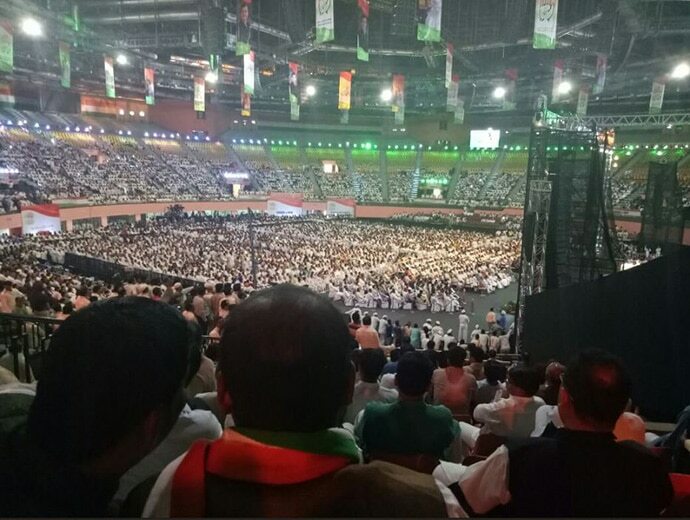 Congress workers were still roaming outside the stadium, hoping to get that much sought-after entry into the stadium where Congress president Rahul Gandhi was about to speak in his first plenary session as the new chief of the party. 39-year-old Sanjay Pandey, a resident of Mahoba, was one such aspirant. Pandey believed some magic would happen and he would get into the area where Gandhi scion was to speak. “Ek bar bas Rahul bhaiya ko dekh loon. Karyakarta hoon but bhaiya ko Kabhi pass se nahi dekha” (Want to see Rahul bhaiya for just once. I am a party worker, but haven’t met him in person ever). It wasn’t a lucky day for Pandey. But Rahul Gandhi knew the “Dil Ki Baat” of his party workers. Delivering his maiden speech as the new chief of the grand old party, 48-year-old Gandhi listed his topmost priority: to break the barrier between him and the party workers. “My first priority will be to break the ‘wall’ between me and party workers,” Gandhi had said then. Then the naysayers wondered how he would break this barrier. But finally, Rahul Gandhi got the ‘shakti’ to break the ‘wall’ between him and his workers. Shakti — an interactive programme — was launched by Gandhi to strengthen the party at the booth level. On numerous occasions, Gandhi said that he wants to change the culture of the Congress by turning the party from a leader-based party to a cadre-based one. Shakti is doing that for him. 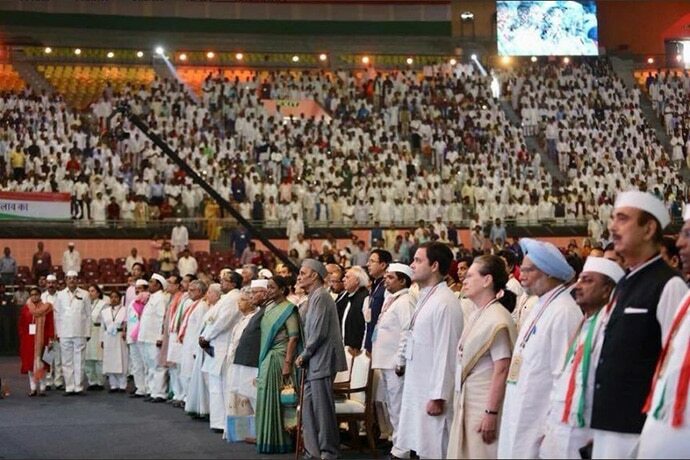 Post-2014, it was said that the Congress’ cadre is eroded and party has lost grassroots support. 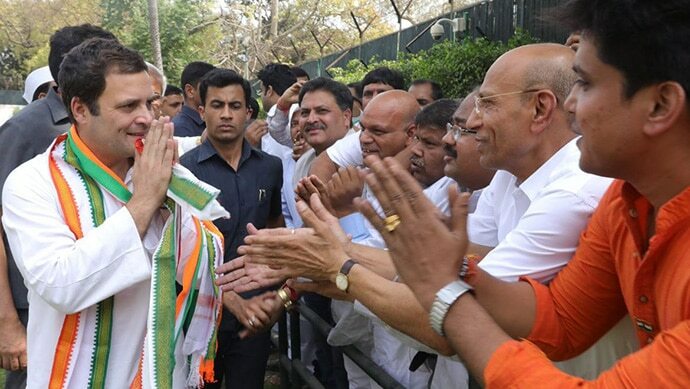 But now, through Shakti, the Congress is being able to connect with its one crore workers at around three lakh booths across the country. This project has so far been launched in nine states: Rajasthan, MP, Chattisgarh, Telangana, Maharashtra, Gujarat, Karnataka, Bihar and Jharkhand. The party is planning to launch this project in Bengal, UP, Orissa in next seven days. At 24 Akbar Road, Delhi — the headquarters of the Congress — there is a mundane-looking white room where Congress’ ‘shakti’ is being fomented in the form of the registrations of party workers. Every second there is a person who is registering himself/ herself and from ‘faceless’ becoming a registered booth worker of the party. To enroll, people have to send an SMS to a particular number along with their name, voter identification card number, phone number, booth and Vidhan Sabha constituency. And then the Congress analytics department connects with them. The cheery on the cake is a customised phone call from Rahul Gandhi himself, thanking the workers for getting registered. If you are thinking that it ends there, then you are mistaken. These workers and booth managers are then given some tasks, based on which they are scored. Real-time appraisal of their performances is being done on a regular basis. The best performers are given appreciation certificates by Rahul Gandhi himself. This entire process is being monitored and managed by a team of 50 members, including the nation/ state coordinators and analysts of the party. "We are not in the number game. Rather we are just connecting our workers with the top leadership of the party. We are doing the mapping of booths that we need to focus on; who our workers are and how they are performing," Chakravarty said. Through this ‘secret brahmastra’ of Rahul Gandhi, the Congress is able to identify its workers; bringing new workers under the party's fold. Also, these workers are being asked to convince the voters. Shakti is assisting the Congress in poll-bound states like Rajasthan, Chhattisgarh and Madhya Pradesh by helping them to identify dedicated workers at both booth and block levels. Congress leader Ashok Gehlot said, "This is a revolutionary move. Rajasthan is number one in registration of booth workers. We have 6 lakh workers there. This Data bank will help us to keep history of our workers, roll out schemes and get feedback." Apart from AICC — the mother organisation — Congress’ frontal organisations — Mahila Congress is launching Mahila Shakti whereas Youth Congress and NSUI are launching Yuva Shakti. KPCC chief Dinesh Gundu Rao said, "Through Shakti, senior leaders, including Rahul Gandhi, can instantly connect with all the booth level workers in one go. It's an excellent measure through which we come to know our organisational strength and establish two-way communication with our karyakartas. Barriers between the senior leaders and the workers are actually broken." Rahul Gandhi has termed Shakti as “the anchor for the future of the party”. Seems he has got the formula to steer the ship in these uneasy sea.